Liam Coffey (pictured) prepares to hit a forehand during practice with St. John’s School. In addition to playing for his school team, Liam also competes in United States Tennis Association (USTA) tournaments around the state. 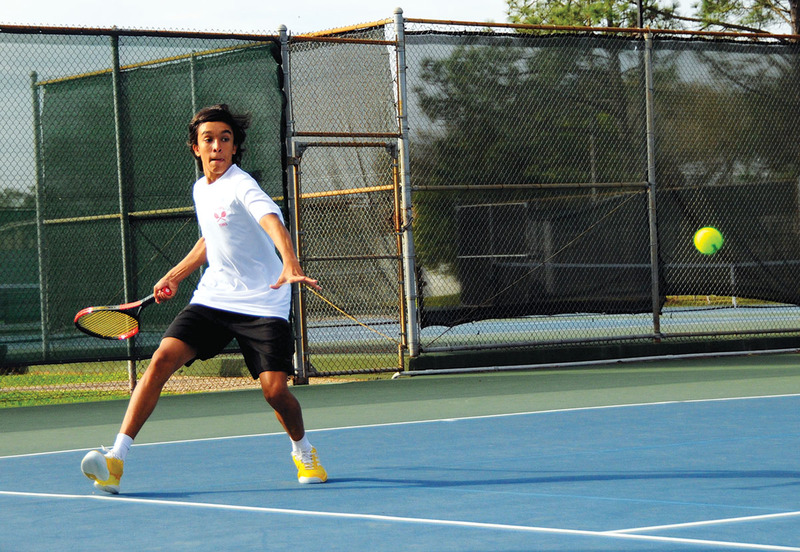 Before advancing to the next division last fall, Liam was ranked as a boys’ 14 Super Champ. To keep up his skills and level of competition, Liam practices up to five times each week and participates in tournaments each month. Tennis runs in the Coffey family, and Liam’s younger siblings are following his lead. His brother, Kieran, also plays for St. John’s School, and his sister, Lakshmi, recently began playing USTA challenger tournaments in the girls 10-and-under orange ball division.